Television and film are no strangers to the supernatural. It seems every week, there’s a new trailer for a Marvel or DC movie set to hit theaters. But television’s newest super show comes in the form of Beyond, a story of a man who wakes from a 12-year-long coma only to discover he has possessed supernatural abilities. The series premieres on Freeform early in 2017, but we got a sneak peek at the new content from one of its stars. 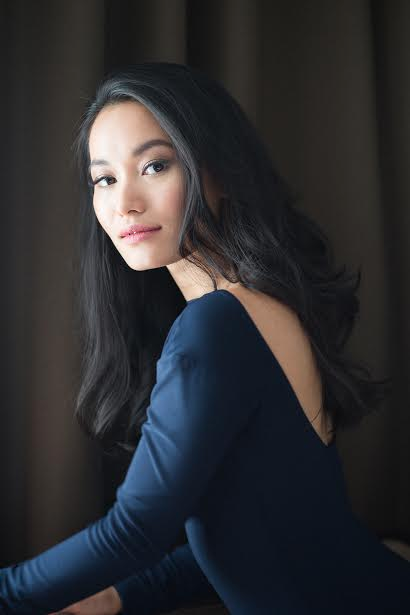 Jacky Lai portrays Riley, a wild-at-heart young woman who plays an integral part in the lead character’s transition into his newfound superhero status. Lai opened up to The Hudsucker about the dangerous new drama, her upcoming role in CBS’ Ransom, and what Will Smith and Leonardo DiCaprio have in common. Science fiction and fantasy has dominated mainstream media in recent years: HBO has Game of Thrones, The CW has The Flash, and J.K. Rowling continues to deliver films set in the fantastical world of Harry Potter. So, it comes as no surprise to see the continuation of the trend as more networks pick up comic-based series and mystical programming. Freeform’s new series Beyond will follow the main character, Holden (Burkley Duffield), as he navigates his newfound powers in the midst of a “dangerous conspiracy.” Lai’s role in the series will see her as pivotal early on. “My character Riley is a mix of wit and wild. She is confident, outspoken and isn’t afraid to push the limits. Riley helps guide Holden, who Beyond follows, through his transition from coma to real life,” the actress tells us. Playing “Riley” is quite the departure for Lai. The Toronto native has previously played much lighter characters in shows such as The Flash. Beyond was a chance for change, as she quickly found her character as a dramatic departure for her norm. However, Lai’s experience with the show went far beyond just learning the lines, and breaking new walls. She recalls the light atmosphere of working on set, claiming those moments off camera were some of her favorite. For that, she has the crew to thank. Lai’s experience working on dramas may lead fans to believe she favors heavier roles. But don’t hold your breath. The actress has plenty of tricks up her sleeves, and quite the soft spot for the comedic side of acting. “The telling of a dramatic story is something I have learned to connect to quicker, because the majority of the projects in Vancouver are dramatic productions,” Lai admits. But she certainly has her eye on roles that will let her give the audience a more therapeutic experience. In addition to the sci-fi series, Lai can also be seen in an upcoming episode of Ransom on CBS. The show focuses on two of the world’s most skilled crisis negotiators as they travel the globe to help billion-dollar corporations, and government agencies. Lai was fairly tight-lipped on her character’s role in the show, but she certainly left us frantically setting our DVRs. Lai hasn’t been in the world of entertainment for very long, but her decision to enter it was an emotional one. It took some time before she realized her passions, and overcoming self-doubt was her biggest hurdle. “[Choosing acting as a career] scared the hell out me! I have learned that there is strength in vulnerability, and much of what is out there in the world is fear,” she opens up. And as any artist knows, art is nothing if not inspiring. Lai’s acting inspiration comes in the form of two familiar faces who have taken their craft to the Academy Awards. “Leonardo DiCaprio and Will Smith….consistently take me out of my actor brain and I am with them wherever they are, truthfully. Their work is always evolving and I believe in the platform they stand for as individuals. These two men who don’t seem to age, are great examples of passion, persistence and hard work,” she jokes. As far as working outside of the realm of acting, Lai certainly has her eye on the possibility! When asked if she would be open to exploring other forms of art, such as live theater or music, her response was straightforward and striking. While we may have to wait a while before we hear an album from the Silent Hill: Revelation 3D star, Lai is happy to continue at her own pace. She reflected on her time in the industry, and the impact of her decision to join it has had on her life. Lastly, we were curious if there was anything Lai wants the world to know about her. The answer? Food. Beyond is set to premiere in January 2017, and Ransom will debut sometime next year on CBS. For more info on all things Jacky Lai, keep up with her website, IMDb, and Facebook page!